THE BS-VI emission norms will have a marginal impact on the auto-casting industry, which may grow 9-11 percent due to an expected advance sales ahead of the new regulations to be implemented from next April, says a report. Also, auto-casting players are putting in place a mechanism to offset reduction in internal combustion engines demand for such engines which are to be replaced by lithium ion and other such higher performing batteries, Crisil said in a report Monday. The country will skip the BS-V emissions norms and transition to BS-VI norms from next April. These norms are expected to impact the automobile industry, barring the tractors, Crisil added. The Rs 50,000-crore auto-casting industry is largely divided into two categories --ferrous and non-ferrous segments, and comprises major engine components such as cylinder heads, cylinder blocks, gear housing, and braking components, which include brake drums and housings, clutch and flywheel housing. “The auto industry is set to change significantly with BS-VI emission norms and thrust on electric vehicles. 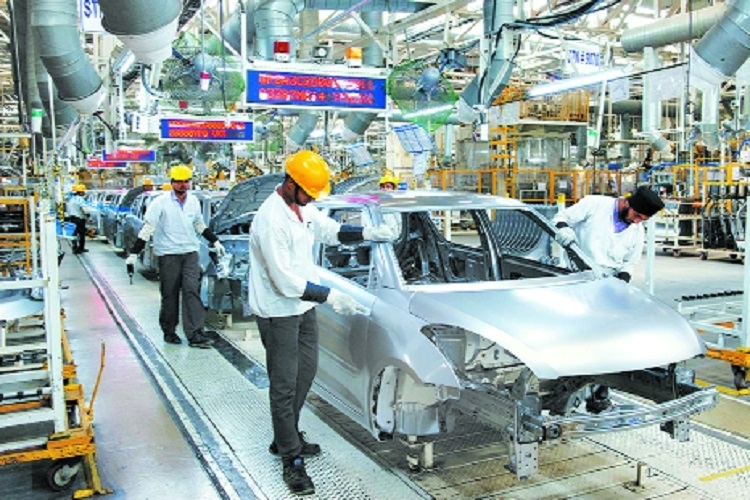 We expect the new emission norms to affect the auto-casting industry only slightly as these norms will only have a more near-term impact, while the effect of electric vehicles will be felt in the medium-to-long term,” the report said. While two-wheelers will feel the brunt, the net value of auto-castings within this segment is expected to remain largely unchanged, it said, adding the proliferation of EVs poses a threat to traditional engines. Crisil does not envisage significant changes in the case of cars and utility vehicles, because of the low share of diesel variants, it said. However, commercial vehicles space will see major changes in engine components and the exhaust management systems, which have a low impact on auto-casting. Amid the thrust on EVs, major casted engine components such as cylinder heads, cylinder blocks, and gear housing (around 50 percent of casted components) run the risk of becoming obsolete, the report warned. To deal with such a situation, the industry is working with global and original equipment manufacturers to develop motor housing, battery housing, knuckles, and turbochargers, to be used in EVs, the note said. The BS-VI norms will lead to addition of both non- casted components and more electricals/ sensors and changes in electronic control units, which will push up prices across vehicle segments.